Maison Idiart Keykeg is a Wine Negociant nestled in Bordeaux and Established in 2013, we focus on "Wine on Tap" and bulk wine supply. At Maison Idiart we believe that a wine should be as close possible to the winemaker intended. Besides maintaining superior wine quality we can use on any beer line, wine on tap in kegs reduces the cost of traditional bottle packaging and transportation, and offer many more benefits. 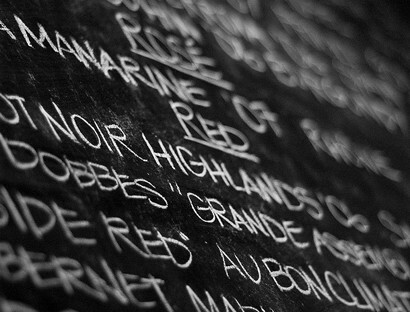 We are very pleased to offer wines from all Grapes varieties and most of French AOP's and IGP's. Every country have different needs and expectations about wine by the Glass, at Maison Idiart we try to fit every market requirement as best possible in connection with our customers. Thanks to our oenologist team expertise we can blend and make the wine the way our customer believe it will suit ideally their market. We working hand to handwith our Wine producers all over France. This close relationship allow us to use if needed the name of the chateau or domaine where the wine is made at. If you choose this option, we will change chateau wine's on regular bases in order to bring some diversity to your wine program. Cooling wine in an outdoor event can be difficult long and can need a lot of fridge and room. With wine in Keykegs you just need a to plug the tap and immediatly the wine can be serve fresh, in fast motion to a large audience. Usually in summer time, outdoor private even need fresh wine and sparkling wine for a successfull enjoyable moment. Pub's and Restaurant are the leading chanels for the Wine in Kegs. Where all the benefits meet. Maison Idiart Keykegs is happy to launch our french sister company "La Vigne au Verre" in order to supply wine on tap for music festivals and outdoor event.